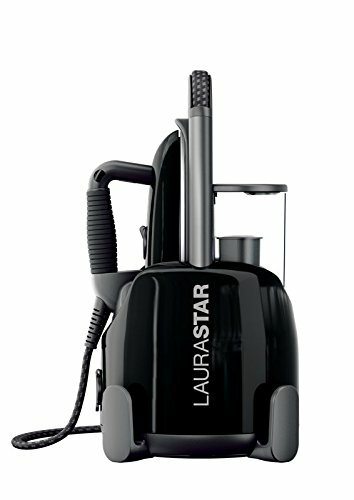 Compact and light, Laurastar Lift+ is the first steam generator with a handle that lets you take it everywhere, from the ironing board to the clothes hanger. It is as effective for a final touch on a hanging garment as for ironing a shirt on the board itself. Pulse steam is diffused in short intermittent pulses, guaranteeing optimal distribution and perfect results regardless of the material or color of your clothes. 3D active soleplate-steam is diffused evenly eliminating creases in a single movement, and fibers are completely refreshed so your clothes stay beautiful for longer. Laurastar's exclusive professional iron diffuses an ultra-fine, yet powerful steam that adapts to all fabrics and enables vertical steaming. Its rounded shape helps to prevent unwanted creases. If you have any questions about this product by Laurastar, contact us by completing and submitting the form below. If you are looking for a specif part number, please include it with your message.